January is finally over! I hate winter so I’m glad to see a winter month over. I read a LOT of books this month, I was just on a reading frenzy. I’ve never read so much in one month! Sure some of them were started before January and some are children’s nonfiction but still. I read a lot of great reads this month too. I read five 5 star books! What was the best of the best? Hmm. That’s a toughy. I guess God Speaks Your Love Language was the best and I’d put 30 Days to Understanding the Bible second. I made some progress on my reading challenges and I caught up on all my review books! Woo! I am looking forward to hopefully another month of lots of reading. I want to keep ahead of my 100 books/month goal so if I go through a depression or just don’t read as much later in the year, I won’t be behind. I am currently reading the first audiobook I’ve read in a LONG time. The Intelligence Paradox (see sidebar) is what I’m listening to and so far it’s awesome. I normally don’t like audiobooks but I’m enjoying this one. I don’t have anything else really to report on my other blogs or in my life. 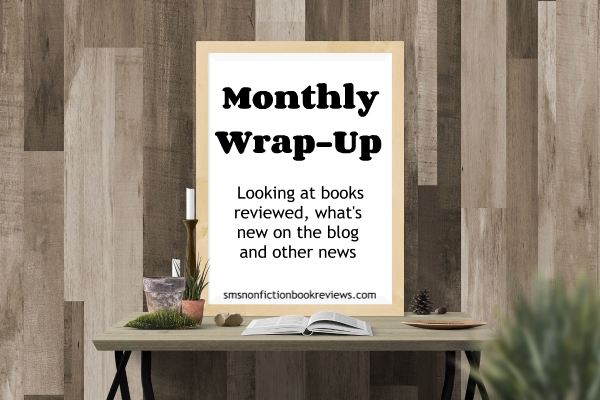 If you read any nonfiction this month, let me know what and how it was!